My view is that hardware part of an off-the-shelf embedded computing platform is a commodity. Any company with good expertize in hardware design can use a leading processor along with other hardware components to design these platforms such as System on Module (SoM). However, system designers and OEMs need more than the hardware for building their products. I do not intend to assert that hardware design is not important; however, my point is that hardware is a starting point for any design, and product differentiation or competitive advantage based on only hardware maybe difficult to achieve. System designers need a robust and matured software that complements the hardware. 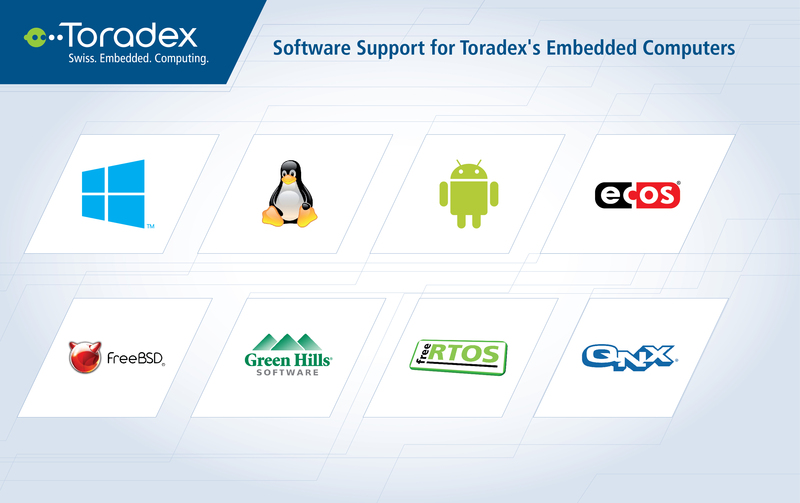 In this blog, I will touch upon the extensive software ecosystem offered by Toradex around its power-efficient and rugged SoMs and Customized SBCs. We have standardized offerings for Windows Embedded Compact and Linux. Without hesitation, I can mention that these BSPs are highly matured, as we invest around 85-90% engineering effort on software development. We support Windows Embedded Compact 2013/7 and WinCE 6.0/5.0. Our BSPs are highly configurable and flexible, so many of our customers use our stock BSPs in their products without using Platform Builder. The run-time license is available free of cost along with most of our SoMs. The other notable benefits for our customers by using our Windows offering are highlighted here. Linux is supported for all our SoMs except the Marvell PXA based SoMs. Our Linux BSPs are based on Ångström/ OpenEmbedded being fully Yocto project compatible. Many add-on peripherals such as camera modules, touch displays, Wi-Fi sticks are supported off-the-shelf. We continuously up-stream support for our latest modules into mainline U-Boot and the mainline Linux kernel, in order to simplify maintenance for our customers in future. Currently, our support for the latest Windows 10 IoT Core is limited to few SoMs. We intend to add this support and more exciting features of this OS in the future. More details on the OS and our Windows IoT Core Starter Kit can be found here. We know that some of you prefer to use operating systems other than Windows Embedded Compact and Linux. In this regard, our partners can help in variety of OS porting including Android, QNX, FreeBSD, Green Hills INTEGRITY, and eCos. Check more on our Partner Network page. As you can see, we offer a full-fledged solution, not a stand-alone System on Module. The ecosystem includes a robust hardware, complemented with a matured software and extensive technical support channels. You may have noticed that in the first paragraph, I have used a term Customized SBC. Are you curious to know what a Customized SBC is and what are its benefits over SBCs? Check out my next blog where I will attempt to answer this.